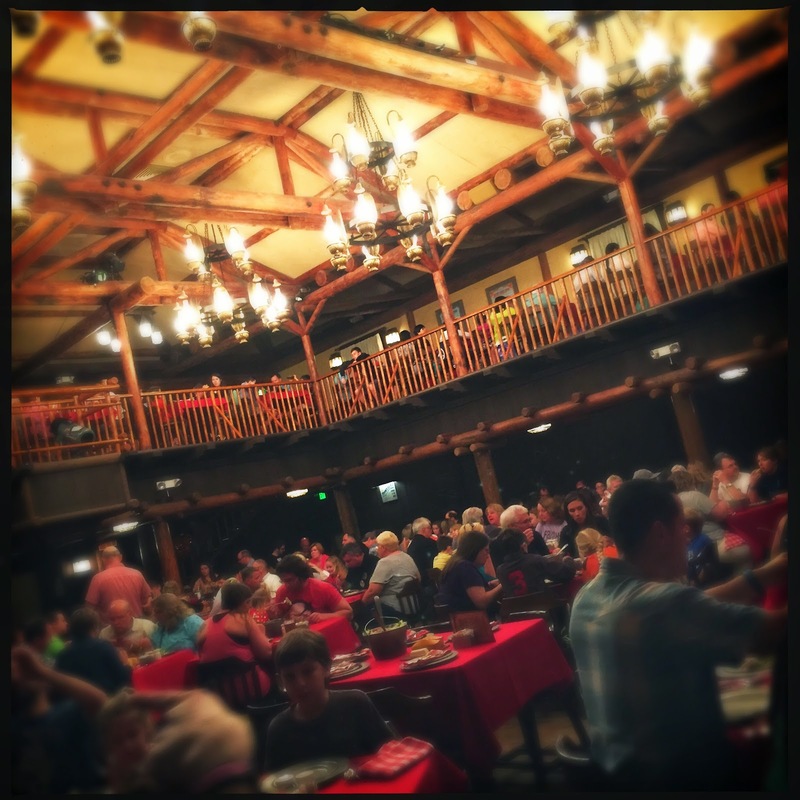 Earlier this year Hoop Dee Doo Musical Revue celebrated its 40th birthday, a huge feat in the ever changing restaurant and entertainment cannon of Walt Disney World. 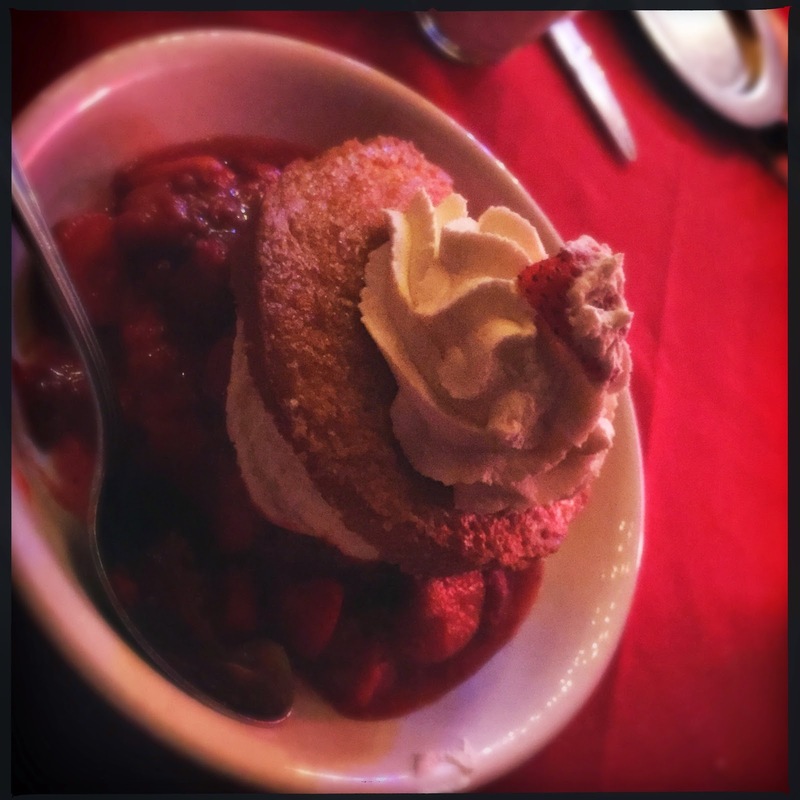 While most restaurants have a hard time finding their legs, Hoop Dee has basically always been a staple. Found in Pioneer Hall, in the back corner of the Fort Wilderness campground the Hoop Dee Doo Musical Revue isn't just a restaurant its an institution in fanciful dining entertainment. The setting, as you might have guessed, is pretty rustic. The campground and amenities held within are essentially an extension of the Magic Kingdom's Frontierland. Pioneer Hall itself is enormous and grand fitting the ridiculous pomp of the show. To maximize the space tables are situated very close together, but this just adds to the fun. There are different tiers of seating at Hoop Dee Doo, essentially delegating how close to the action you will be. Though the price for tier one is significantly more than the others, I would highly recommend the slight splurge...the show is what you're really paying for after all. But you know all this already, don't you? Every Disney blog under the sun has reported on the lovely show that follows...and I'm sure you've read them all. 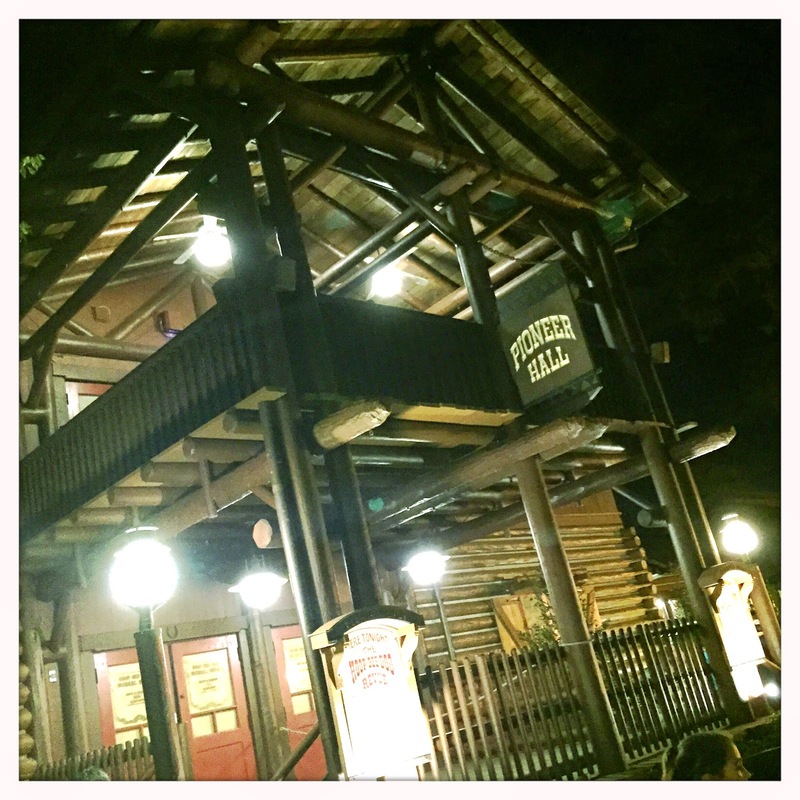 However, the amount of information on vegetarian dining at Hoop Dee Doo is pretty scarce and thus, here we arrive at our meal. When you're sat at your assigned table you will find a pewter pot full of fresh garden salad and a small loaf of the infamous corn bread. After a quick pow wow with our (very attentive) server about our dietary restrictions, we had confirmation that the cornbread and salad dressing were both appropriate. 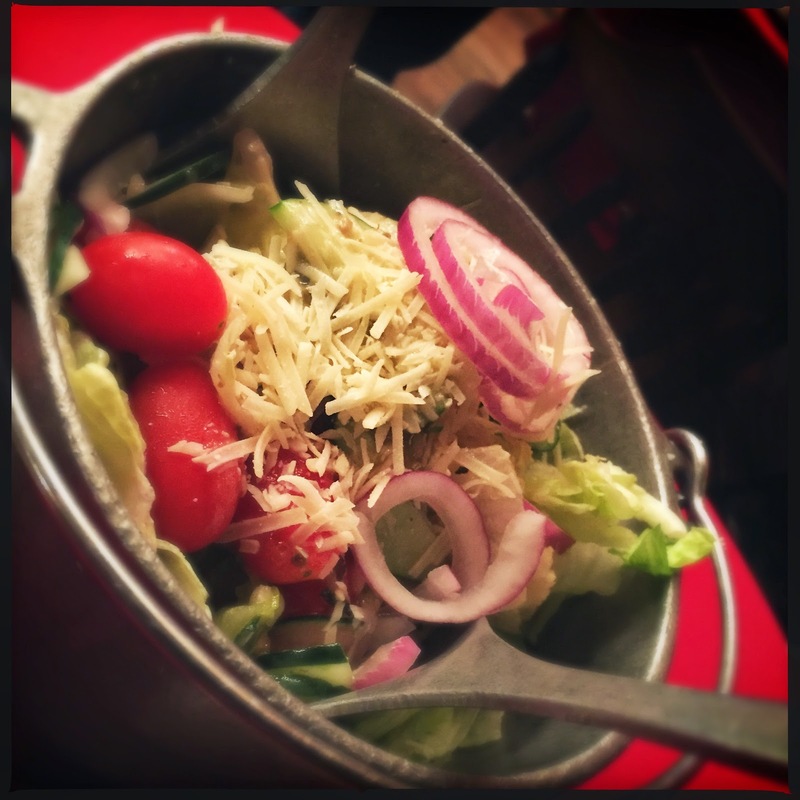 (salad dressing sometimes has anchovies, and cornbread sometimes has lard...) The salad was super fresh and yummy, but not particularly special. 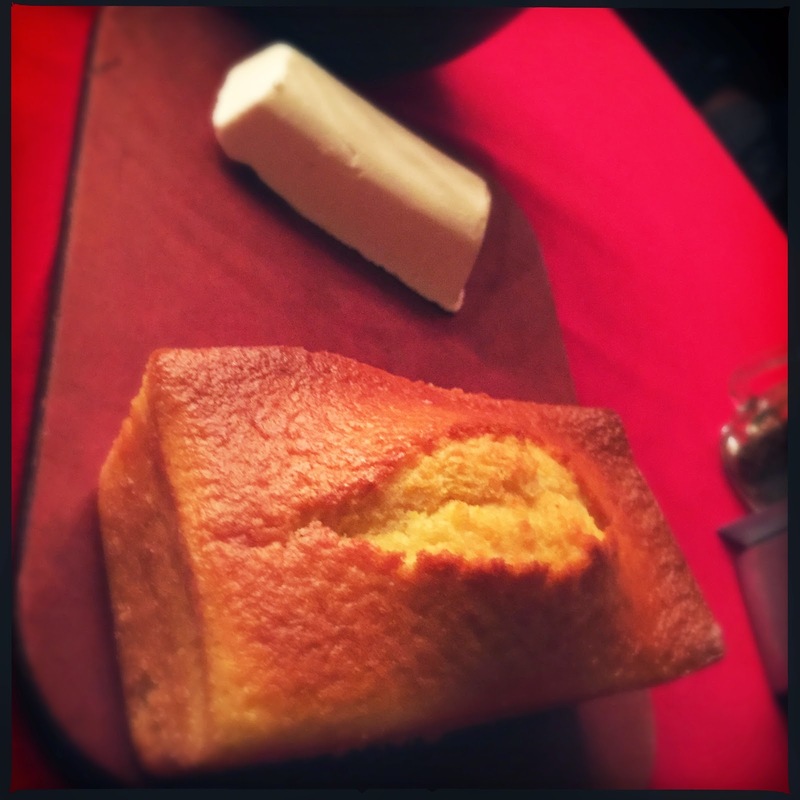 And though the cornbread was very yummy it didn't meet the level of awesomeness that the hype insinuated. Props though for having room temperature butter. Shortly after we started in on the salad and cornbread our server brought us a special menu in which to order our main course from. Unless you have special dietary restrictions you're brought out a standard fried chicken/bbq family style meal. We were grateful to see that a menu was available for us...since it shows that vegetarians aren't really afterthoughts. Unlike the Spirit of Aloha dinner show, you DO NOT have to call ahead for a special meal, since these are provided by the nearby Trails End buffet. 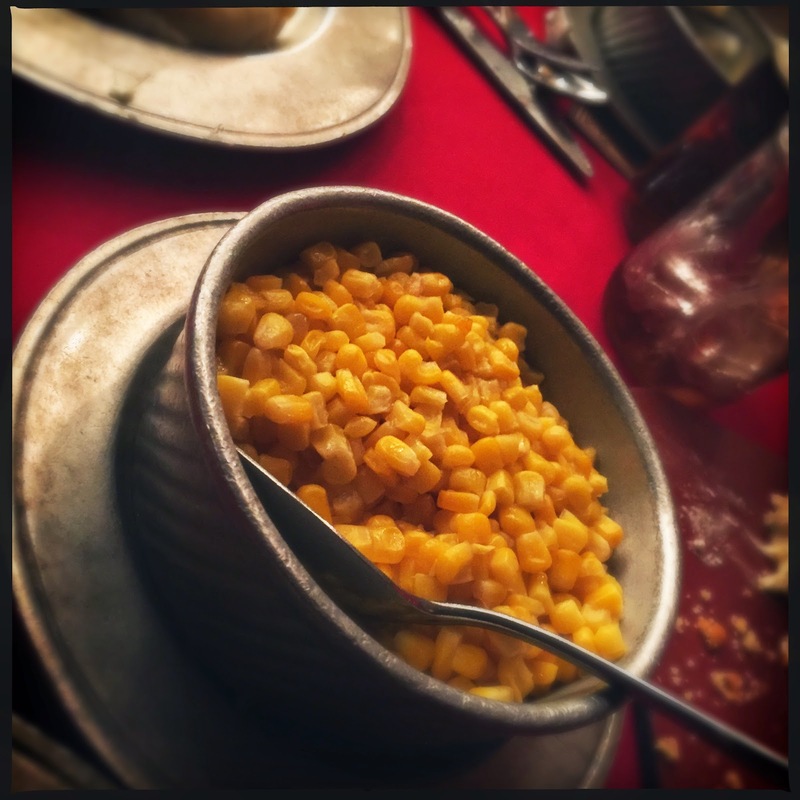 Before our entrees came out we were presented with large sides of mashed potatoes and corn. For those of you who do eat meat at this point you will also be provided with baked beans as well...but no such luck for us. The mashed potatoes were exceptionally yummy. 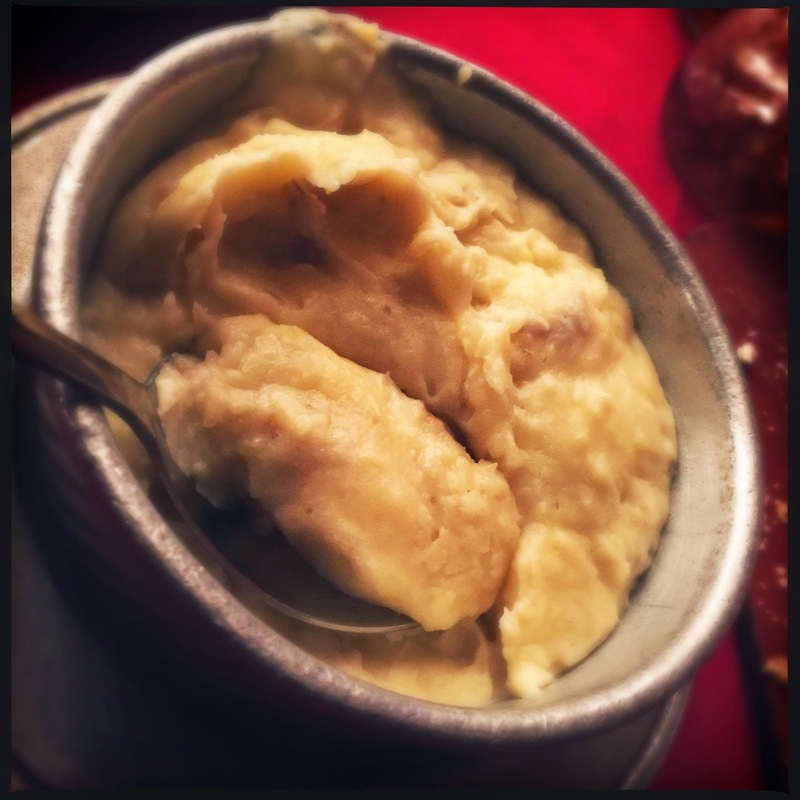 I'm no mashed potato connoisseur or anything, but these were pretty divine. Maybe it was all the beer I was drinking, but these were what I needed at the moment. The corn was, well...corn. The main dishes were very simple. 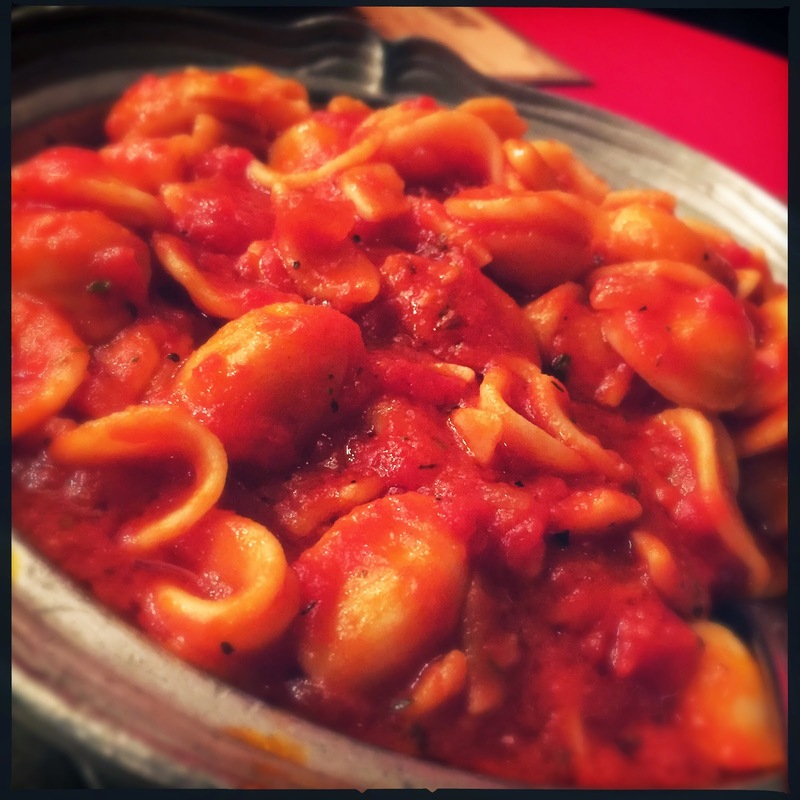 The shell pasta with marinara was exactly what it sounds like, though Adam noted that the marinara wasn't as offensive as it could have been. (he grew up on Staten Island, and can be particularly hard on bad marinara.) The pasta was actually cooked pretty well too, and not overly mushy. 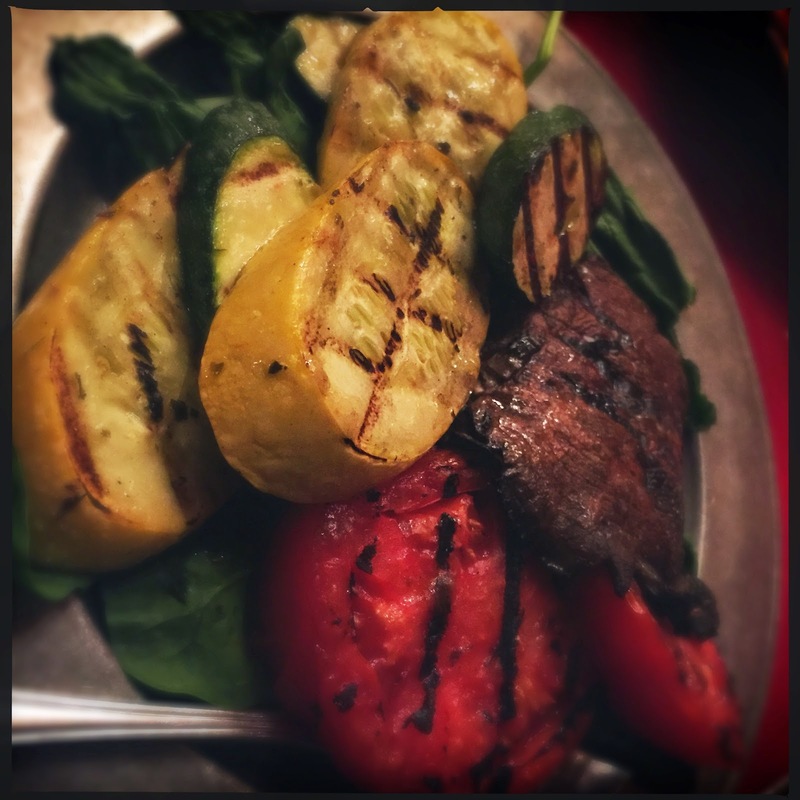 The grilled veggies were totally blah. Disney cannot get grilled vegetables right, and yet they insist on this being the main vegetarian option at MANY places on property. Sheesh...there wasn't even salt on these. The oddest part being the bed of uncooked spinach that the veggies were laying on. Weird. An easy fix to this would be to marinate the veggies first and served them kabob style...I don't think that would take too much extra effort but would make all the difference in taste. Just a thought. Boring grilled vegetables on spinach. One of the fun aspects of this dining experience is that beer and wine is included in the price. While we experienced this perk at the Spirit of Aloha show, that instance left us a little dry...as getting your servers attention is all but impossible at that venue. HOWEVER HOOP DEE DOO IS TOTALLY DIFFERENT. 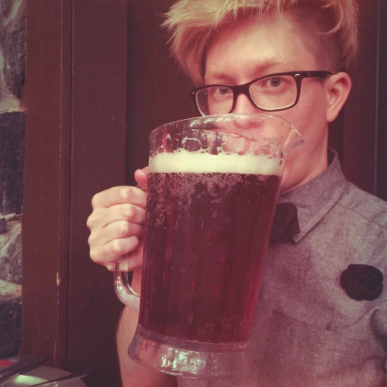 As soon as I finished my first beer (a Yuengling FYI...) our server asked if I would like a pitcher. Um...yes please! This was such a welcome surprise, considering the experience at Aloha. 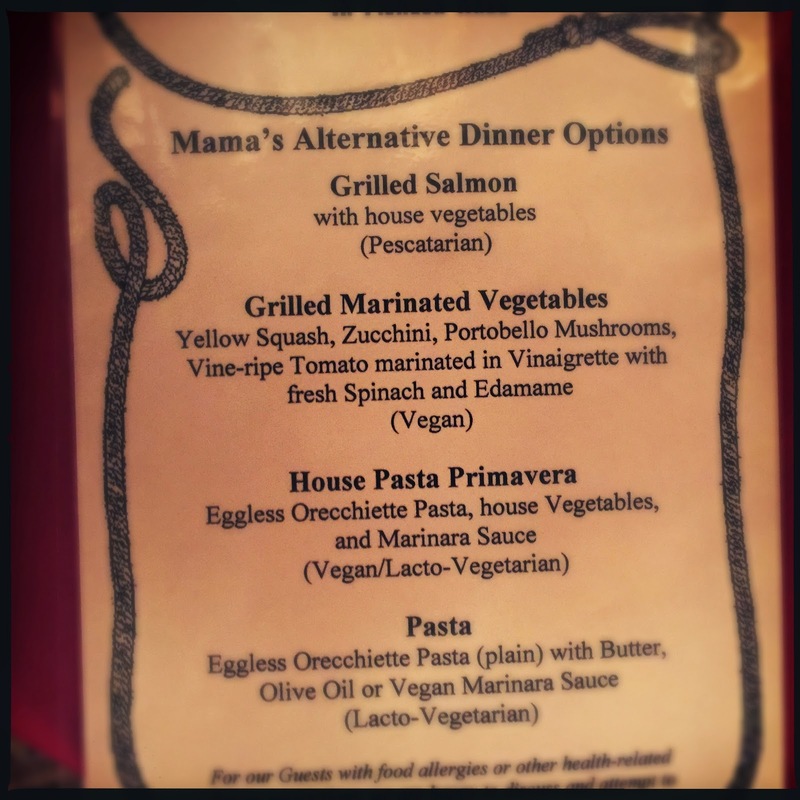 So there you go dear readers, a proper look at the veggie options at the Hoop Dee Doo Musical Revue. It took us damn near ten years to get our butts over to Pioneer Hall to experience this legendary show. My only regret is not going earlier. The food is certainly adequate, with some things being quite good, and the plentiful beer is a nice perk. However the highlight is certainly the performance, which is absolutely not to be missed. We will be back very very soon. I'm glad to hear the cornbread wasn't amazing, because I'm vegetarian *and* can't eat corn. Maybe next time I'm staying on property I'll try this out and take advantage of the Booze Buffet quickly enough to enjoy the jokes!